USA Hockey announced today the 17-player roster for the 2018-19 U.S. National Sled Hockey Team. The group includes 12 returnees from the 2018 U.S. Paralympic Sled Hockey Team that claimed an unprecedented third-straight gold medal at the 2018 Paralympic Winter Games in PyeongChang, South Korea, last March. "Coming off a Paralympic win last season, we were impressed by the level of competition shown at this year's tryouts and we're thrilled about the players chosen to represent the United States this coming season," said Dan Brennan, director of sled hockey for USA Hockey and general manager of the 2018-19 U.S. National Sled Hockey Team. “Our player pool is deeper than it has ever been, and that's a credit to the volunteers and programs across the country." Highlighting the returnees from last year's gold medal-winning team are forwards Declan Farmer (Northlake, Ill.) and Brody Roybal (Northlake, Ill.); defenseman Josh Pauls (Green Brook, N.J.); and goaltender Steve Cash (Overland, Mo.). At the 2018 Paralympic Winter Games in PyeongChang, South Korea, Roybal was named tournament MVP after accumulating a tournament-leading 17 points (10-7) in five games while Farmer, who equaled Roybal's 17 points, tied the U.S. and Paralympic records for most goals in a single Paralympics with 11, including the game-tying and game-winning goals in the gold-medal game against Canada. Additionally, the 2017-18 season saw long-time U.S. national team members Pauls and Cash help lead the U.S. to a trio of championships as Pauls served his first season as team captain while Cash won championship games at the 2017 World Sled Hockey Challenge in Charlottetown, P.E.I., the 2018 Turin Para Ice Hockey International Tournament in Turin, Italy; and 2018 Paralympic Winter Games in PyeongChang, South Korea. Other notable returnees to the U.S. National Sled Hockey Team include forwards Kevin McKee (Chicago, Ill.) and Rico Roman (Portland, Ore.) and goaltender Jen Lee (San Francisco, Calif.), all who were part of Team USA's Paralympic gold medal-winning efforts at the 2014 and 2018 Paralympic Winter Games. Additionally, forward Josh Sweeney (Portland, Ore.) and defenseman Chris Douglas (St. Cloud, Fla.), who were on the 2014-15 U.S. roster that went undefeated season en route to winning the 2015 IPC Sled Hockey World Championship on home ice in Buffalo, N.Y., are both entering their second stints with the U.S. national team. Sweeney, who captained the gold medal-winning U.S. team, previously played five seasons (2011-16) while Douglas skated two seasons (2014-16). Newcomers to the U.S. National Sled Hockey Team include defenseman Colin Gooley (Baldwinsville, N.Y.) and forwards Josh Hargis (Colorado Springs, Colo.) and Kyle Zych (South Hadley, Mass. ), all who skated with the U.S. Development Sled Hockey Team in 2017-18. Gooley and Hargis served as co-captains along with Douglas. 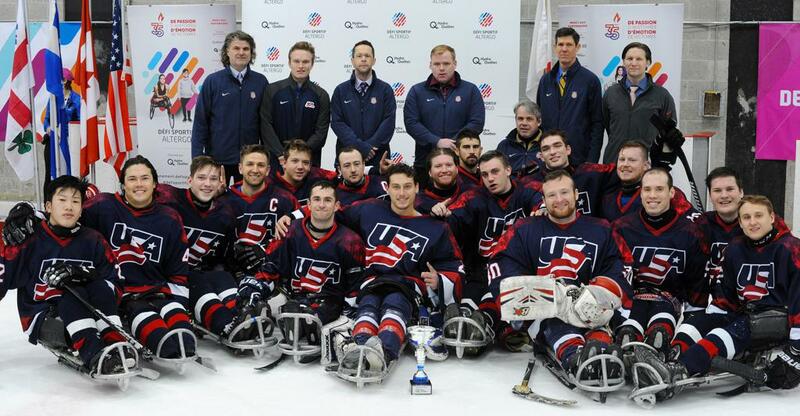 For the complete U.S. National Sled Hockey Team roster, click here. The 2018-19 U.S. Men's Development Sled Hockey Team roster was also unveiled today and can be found here. The team will be coached by 2002 Paralympic gold medalist Kip St. Germaine (East Falmouth, Mass.). USA Hockey also announced today that Corey Gorder (Bottineau, N.D.) has been named an assistant coach for the 2018-19 U.S. National Sled Hockey Team. Gorder, who is making his U.S. National Sled Team debut, has previously been involved with USA Hockey as both an associate coach-in-chief as well as a camp assistant coach for USA Hockey Sled Select Camps. A licensed professional clinical counselor, Gorder is the primary campus counselor at Dakota College at Bottineau where he also serves as an assistant coach for the college's men's ice hockey team that competes in the ACHA. Additionally, the 2018-19 U.S. National Sled Hockey Team support staff will include the return of athletic trainer Mike Cortese (Boynton Beach, Fla.), equipment manager Joel Isaacsonn (Houghton, Mich.), team physician Mike Uihlein (Grafton, Wis.) and communications manager Jon Gomez (Colorado Springs, Colo.). NOTES: Deloitte, Labatt USA and Toyota are proud sponsors of the U.S. National Sled Hockey Team ... Defenseman Billy Hanning (High Ridge, Mo. ), who skated four seasons (2014-18) with U.S. National Sled Hockey Team and helped the U.S. win gold at the 2018 Paralympic Winter Games last March, announced his retirement at the conclusion of last season ... The roster for the 2018-19 U.S. Women's Development Sled Hockey Team will be unveiled in late August following the U.S. Women's Sled Hockey Training Camp that will run Aug. 23-26 in Voorhees, N.J. ... 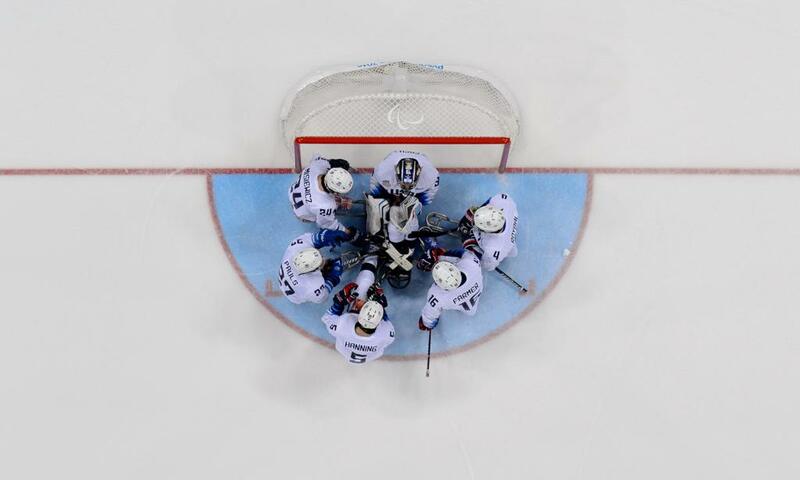 Since 2009, the U.S. has played in eight consecutive gold-medal games at the Paralympic and World Championship level. In that span, the U.S. is 6-2 and has claimed three Paralympic gold medals (2010, 2014, 2018) and three world championship gold medals (2009, 2012, 2015). Its two losses came in world championship play (2013, 2017) ... USA Hockey's international council, chaired by Gavin Regan (Potsdam, N.Y.), has oversight responsibilities for all U.S. national teams.